Darling card and of course fun image. So glad you're playing along with our CIJ at Catch the bug. Great card, love the colours and the paperpiecing you did, thanks for joinign in with our christmas in july week. Oh this is AWESOME! 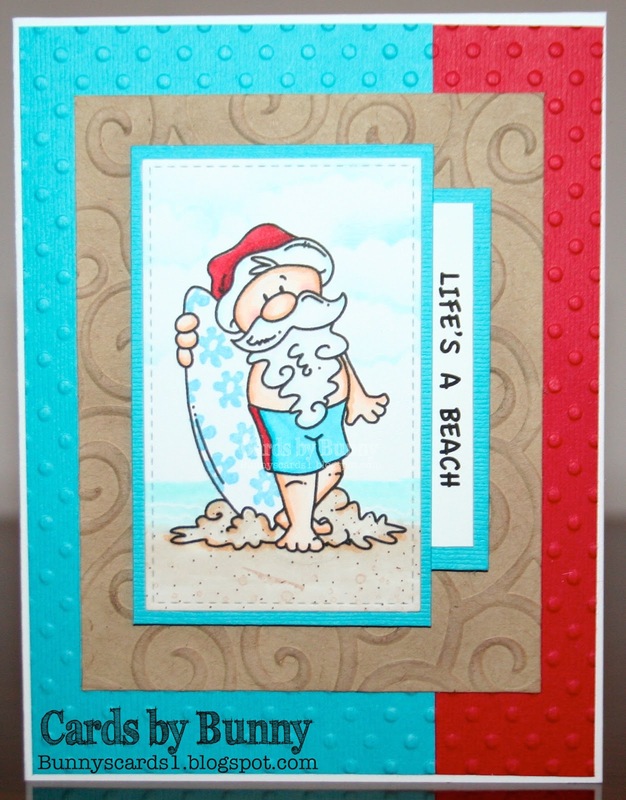 Great texture and colors and I love the surfboard pattern! Thanks for joining us for Christmas in July at Catch the Bug Challenges!